The last time I went ga-ga over these adorable blue characters was when I was in 6th grade!!! 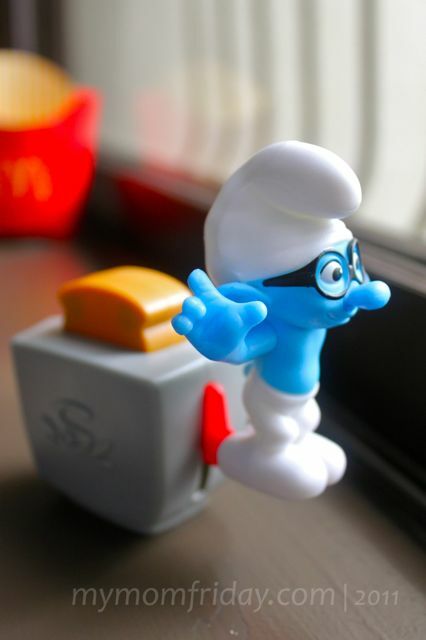 Who knew the Smurfs would find their way into 2011, with a movie to boot, and charm this new generation of tech-savvy kiddies like my boy and girl. Smurfette -- the only female in the village, is the obvious choice for my girl. 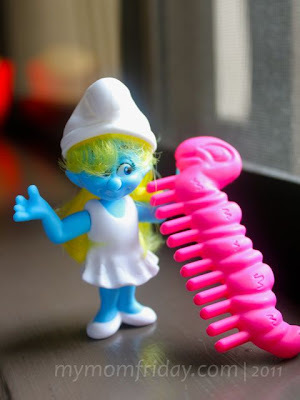 The doll, a little over 3 inches, comes with her own pink caterpillar comb to keep her golden tresses in place. 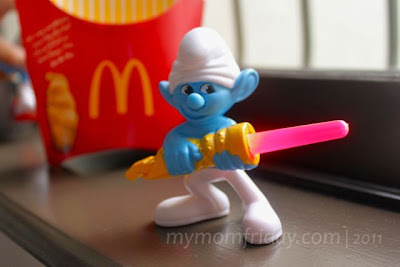 Clumsy - he doesn't look clumsy here but he seems to be carrying a magic laser sword. Brainy - this guy comes with a toaster that springs him away when the toast is pressed. 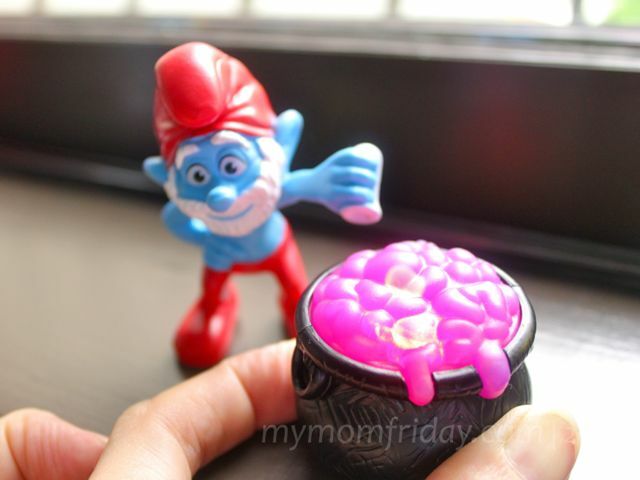 Papa Smurf - the boss is mixing up some magic in his pot...watch it glow as you press, change colors and blink, blink, blink! I was actually looking for Gargamel and Azrael in the collection, but no vilains included. :) We'll go back to collect the rest! 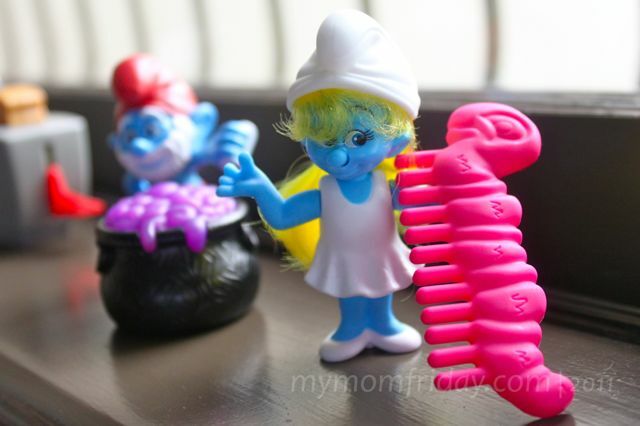 Now we're all set to bring the kids to watch the Smurfs movie, showing in Metro Manila theaters this coming week! Here's what I got for myself before from Happy Meals too!